Material research of new finishes, an essential design thanks to the absence of handlesand the possibility of modular lengths as desired with three different heights of the bases 24, 44, 64 cm.Iquba, a modular program of bathroom furniture with the ability to match tops and sinks in marble mineral ,coloured crystal glass, Corian and several ceramic washbasins. 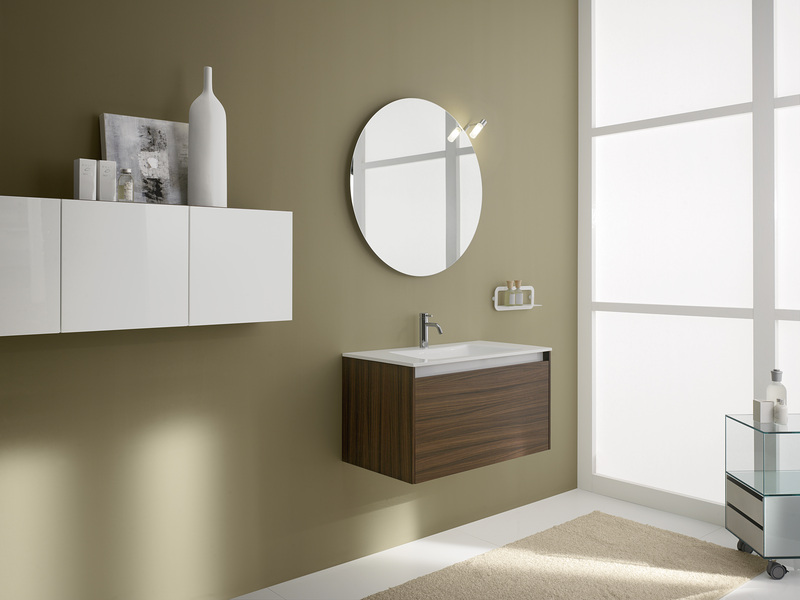 Wash basin base and lateral base with two doors in white oak laminate matrix. Glossy Blanco puro top with sink to the right side. Square mirror 80 x 80 cm. 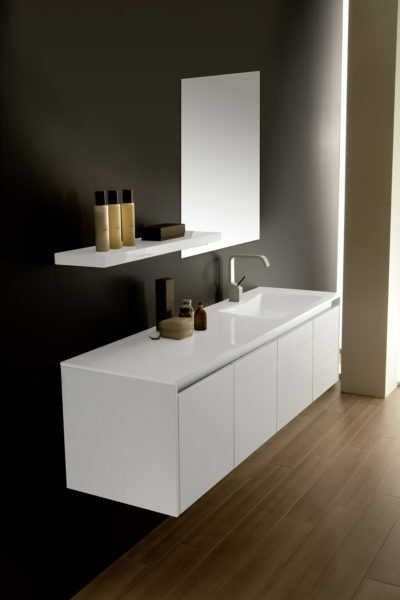 and white glossy lacquered mirror shelf. 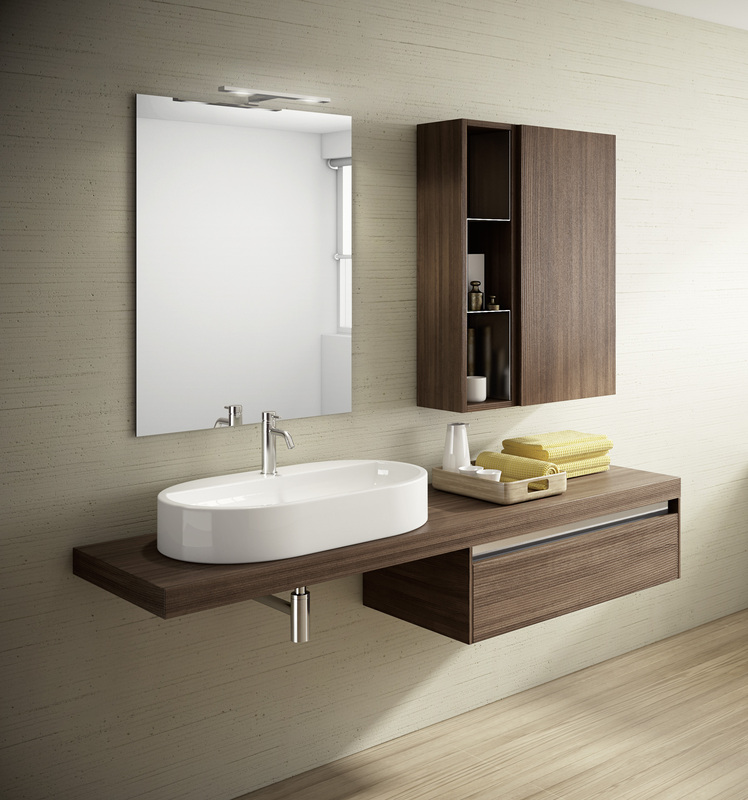 Rich environment bathroom in American Walnut laminate, composed of Top L 160 x 45 x 6 cm thick, and drawer H 24 L 82 cm with front throat in polished stainless steel. Wall cupboard with door H 80 W 40 D 22 cm and wall unit REVERSO H 80 x 20 x 20 cm with internal elements in satin-finish stainless steel. 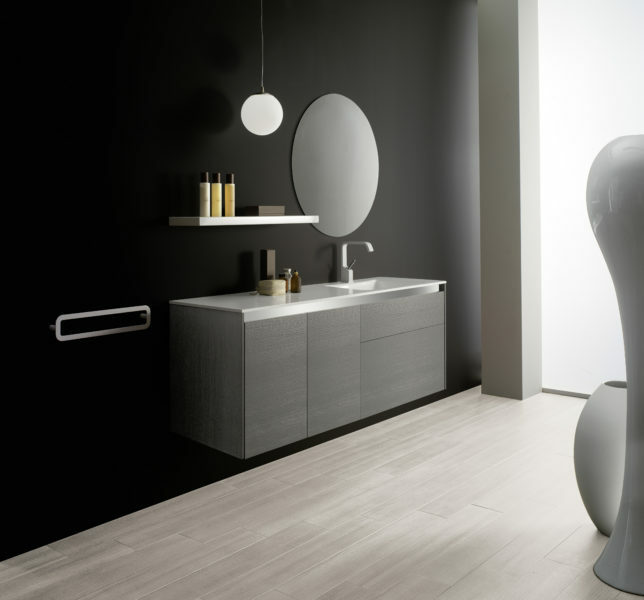 On the ceramic basin model KEOS R, is mounted the Alfa Slim tap. 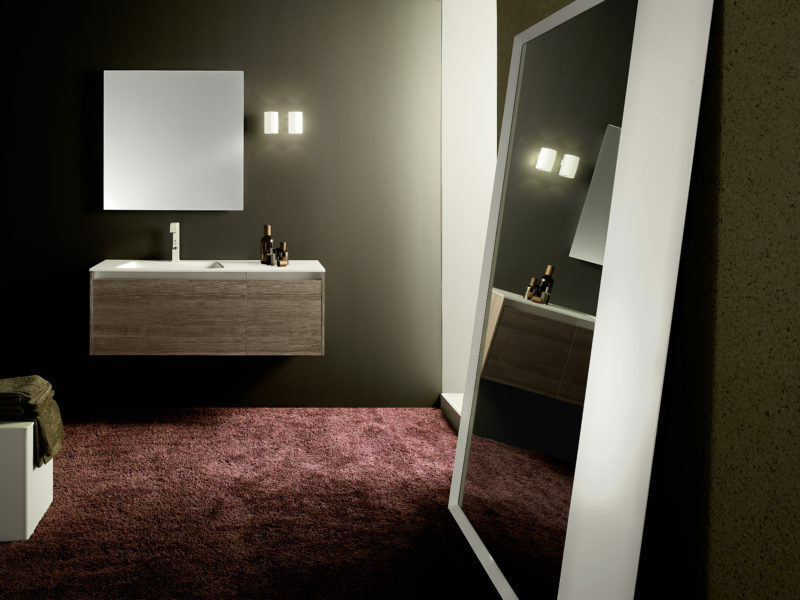 The mirror 80 x 80 cm is equipped with the LED 2 lamp. Minimalist composition H 24 cm, consisting of basin base with drawer L 100 and L 60 side drawer in matt white. Polished Blanco puro top L 162 cm with sink right. Storage shelves of Q LINE collection in matt white steel. Iquba collection bathroom furniture H 44 cm L 82 D 45 in Rosewood colour. 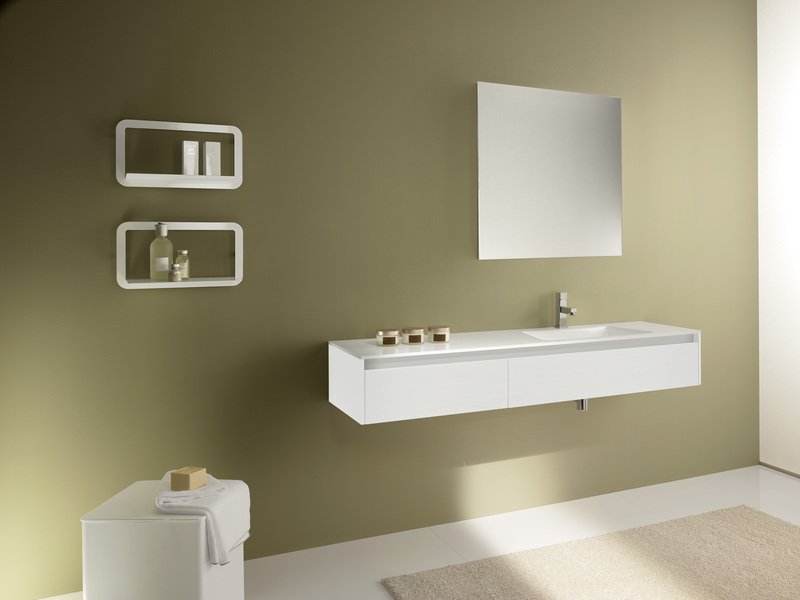 Top with integrated sink in Blanco puro with surface layer of glossy white gelcoat high resistance to wear and scratches, as well as extremely easy to clean. DREAM circular mirror diameter 80 cm. 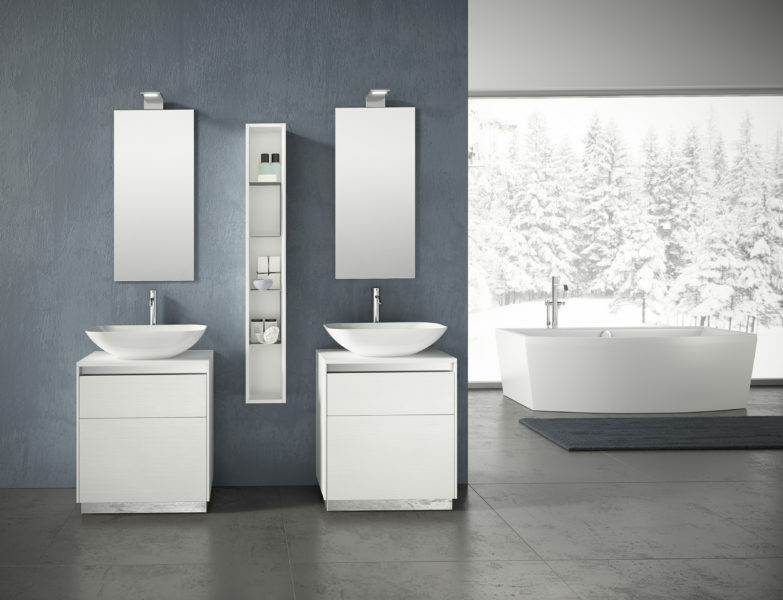 Wall units with gloss white lacquered doors, and shelf storage in matt white steel of Q LINE accessories collection. 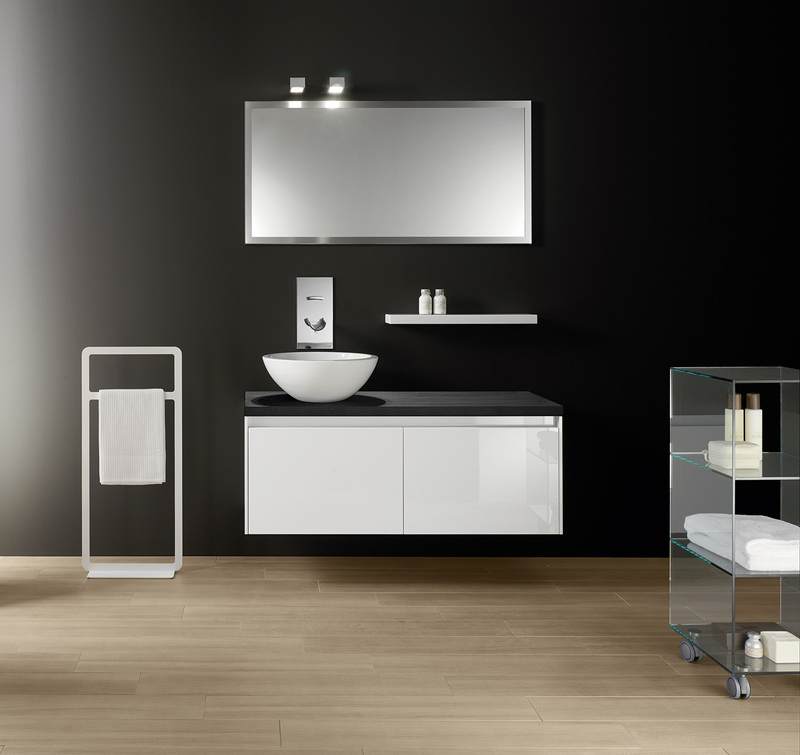 Bathroom furniture composition in bleached Oak essence , composed of base unit with basket L 80 cm and a base with two drawers L 80 cm. 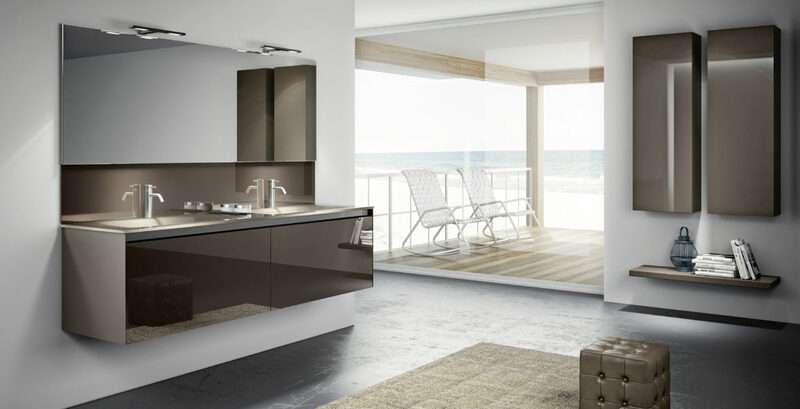 SMILE top in Blanco puro L 162 cm with two integrated sinks made of minerals resins with Gelcoat glossy white finish. 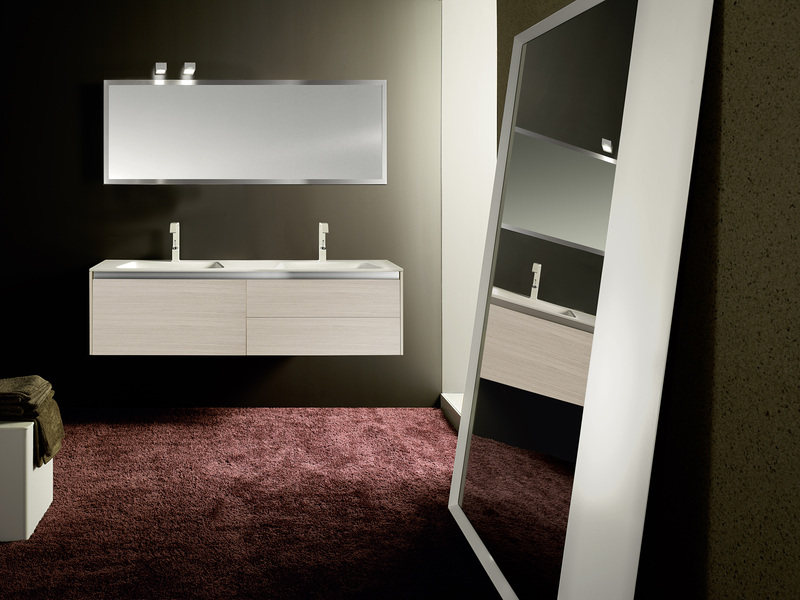 Square mirror L 160 x 60 with frame in brushed stainless steel. 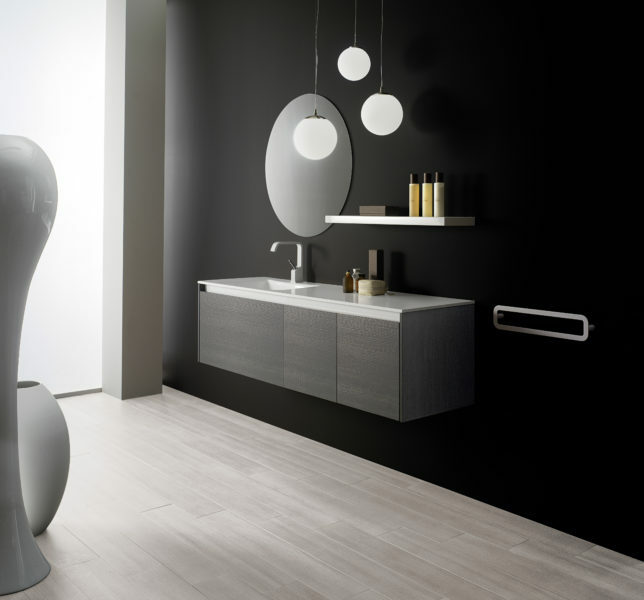 Elegant and functional bathroom setting, lacquered glossy white and top in laminated wood tinted grey oak. Large up top sink GRUS diameter 47 cm. 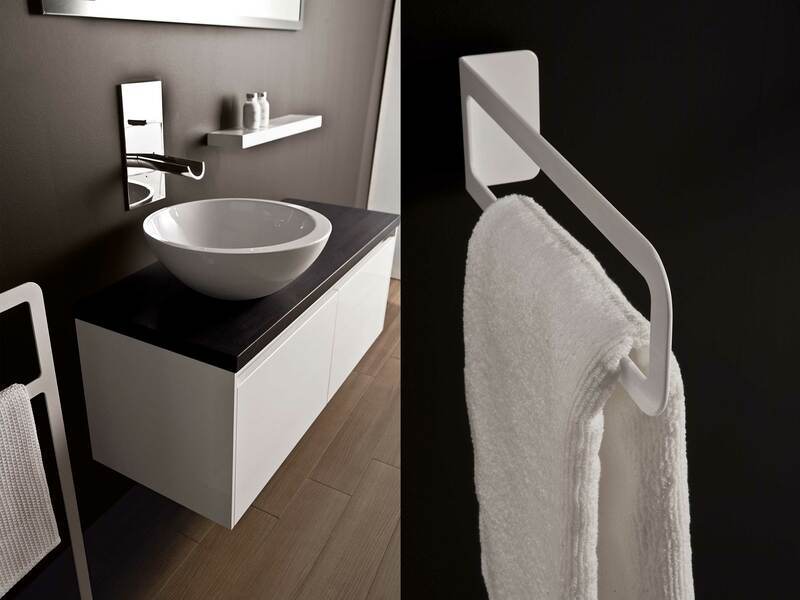 Freestanding towel holder of Q LINE accessories collection in white steel and mirror SQUARE 60 x 120 cm with brushed stainless steel frame.